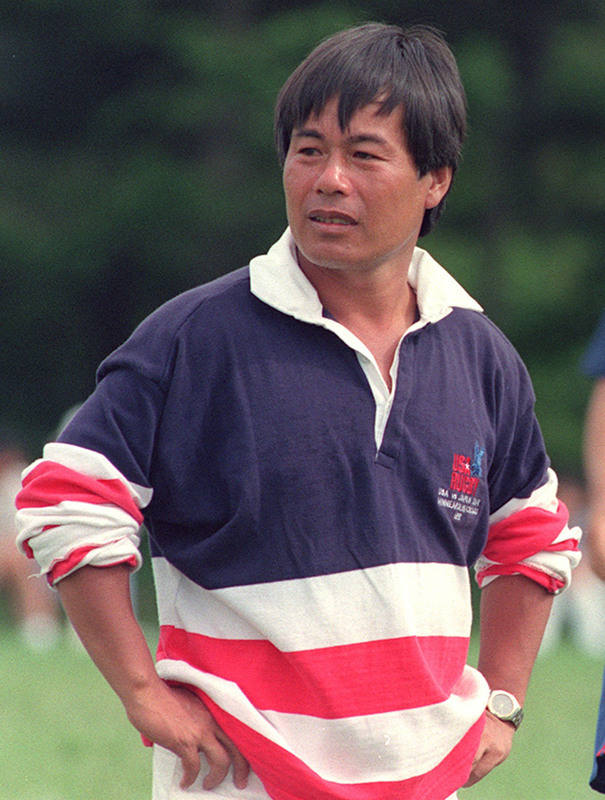 Akira Uehara, the president of longtime rugby national team sponsor Taisho Pharmaceutical Co., Ltd., played in the front row for Keio University’s B.Y.B Rugby Football Club in the 1960s. Even after starting his career as a businessman at electronics company NEC Corporation in 1966, his passion and love for rugby never waned. He joined Taisho Pharmaceutical 11 years later. During a business trip to Europe, Uehara had a chance meeting with Hiroaki Shukuzawa, a former rugby star for Waseda University, that turned out to be a crucial moment in the sponsorship of Japan’s national team. Shukuzawa played scrum half and led Waseda to back-to-back national championships in 1971-72. 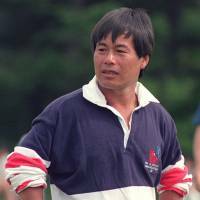 He eventually became Japan’s head coach and was at the helm for the nation’s first victory in the Rugby World Cup in 1991, a 52-8 win over Zimbabwe in Belfast. Shukuzawa died of cardiac infarction at age of 55 while climbing a mountain in 2006. 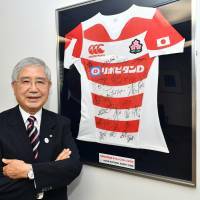 Uehara, still cherishing the memory and friendship with Shukuzawa, has continued to expand his company’s sponsorship in rugby. Uehara gave himself another title last September, when he took over as chairman of Josai University. 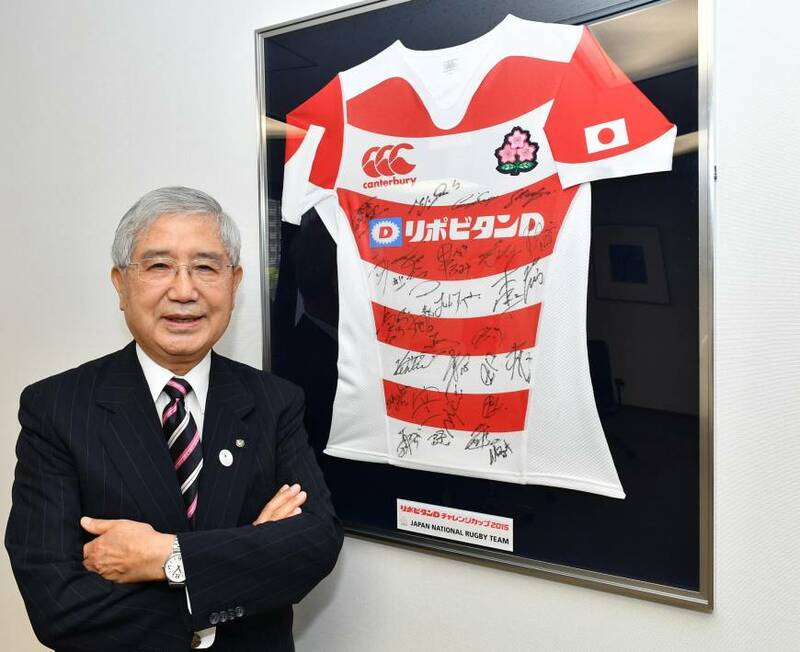 In an exclusive interview with The Japan Times, the 77-year-old Uehara speaks about Japanese rugby and the common philosophy he believes the sport shares with business and education. What is your rugby background? I attended Seikei elementary, junior high and high schools. Our junior high school teachers introduced rugby to our athletic classes. Our classes in winter were rugby or marathon. Our school even held a rugby tournament with all of the boys participating. That was in the early 1950s. How popular was rugby in Japan at that time? I’m not certain, but there were competitions among five or six colleges. I remember Japan played Canada at Chichibunomiya Rugby Field, and Oxford and Cambridge visited Japan to play matches. I continued to play rugby at Keio University. I loved theater in high school, both watching and playing. But in college, I preferred rugby. You go deep inside in acting. That led some of actors I knew to become leftists after they were affected by the conflict over the Japan-U.S. Security Treaty. That scene was not appealing to me; rugby was more attractive. Taisho Pharmaceutical has sponsored the rugby national team since 2001. How did your company become a longtime sponsor? While I continued to watch rugby matches at stadiums and on TV after I graduated from Keio, I became a big fan of Waseda University player Shukuzawa. I met Shukuzawa, who was working in London as a banker, for the first time personally when I visited there on business in the 1980s. After he came back to Japan, we went out for dinner with other former rugby players and become close friends. A few years later, Shukuzawa became chairman of the training committee of the Japan Rugby Football Union and asked me to sponsor the national team. He insisted companies with rugby teams should not sponsor the national team because the players wouldn’t want to wear a jersey with a rival team’s logo. I agreed and decided to lend our support. How has Japanese rugby changed in the 18 years since Taisho Pharmaceutical’s sponsorship began? I don’t think rugby has earned enough popularity yet. There was a boom in 2015 (after the World Cup), but I don’t understand why that didn’t last. We have to figure out the factors behind that boom and why rugby’s popularity declined. Top League games are well attended but I suspect many of the fans come from the companies of participating teams. They should do more to attract pure rugby fans. Japan’s rugby team has improved. We owe a lot to (former Japan coach) Eddie Jones. Before him, Japan had only one victory in World Cup, but he guided Japan to three wins in the last World Cup. Also, Japan’s team has become internationalized. Some would say this is not a true Japan team, but you can also say they are fighting for Japan. I agree with that. They might have come from different countries, but they understand Japan’s spirit. They have the samurai spirit and can even sing the national anthem. In rugby, we use “One for All, All for One,” as the symbolic phrase. I think the meaning of this phrase shares a common essence with samurai spirit, which values faith, justice and respect. I would say one for all means not only contributing to teammates, but all countries or all the people. That spirit is important today. Japan’s match against Scotland. Japan won three matches in the 2015 World Cup and the only loss was to Scotland. It was also the only match I went to watch there. I want to see Japan beat Scotland. In early years of your company, which was established in 1912, it had a mission statement that said, “Business is a battle. Winning is the only thing that matters.” Are there any similarities between your business philosophy and rugby? Shukuzawa used to love that phrase. It does not mean winning is everything, but rather that the important thing is finding a way to win. Our company thinks that three things are necessary to win: higher-quality production, better economic planning and better service. Nowadays, customers’ demands are more varied. They can easily get the information they want and they can purchase anything from anywhere. For example, the amino acid necessary for teenagers is different from the one people in the 1970s or 1980s needed. Customers can easily find what they want through the internet and buy it. We have to find out what they want and supply it. We keep trying. We learn from our errors and make better products. The same thing can be said about rugby. I cannot say exactly what will improve Japanese rugby, but physical training, formation, strategy and scouting of the opposition should be important. You have to find the way to become better than your opponents. You have to devise a way to make it happen. Then your opponents make an effort to beat you, and both of you improve as a result. That philosophy also applies to increasing rugby’s popularity. We have to figure out how to turn ordinary people into rugby fans. One possibility is to rebrand Top League teams to (represent) regions rather than companies, like the J. League has done. We all know J. League clubs are sponsored by companies, but, for example, Mitsubishi Heavy Industries became Urawa Reds and JR Furukawa is now JEF United Chiba. That is how they gained local fans and the method contributes to regional activation. When I make important decisions or policies regarding business at Taisho Pharmaceutical or education at Josai University, I go with the concept that you have to figure out the general situation and do what you can do. What I always tell my students is to make the determination to deal with rapid changes in the world, have awareness of the issues and learn from history, other persons and yourself. You have to deal with an ever-changing world, think about how things happen and how they can be more effective and earn and use that knowledge to design your own future.